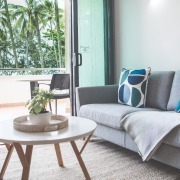 Port Douglas Peninsula Boutique Hotel features 34 modern beachfront suites that combine self catering facilities with the services of a hotel. 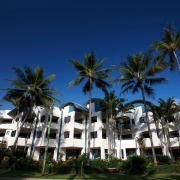 Little extra touches such as fresh flowers, aromatherapy burners, a refreshing aromatherapy towel and drink on arrival, daily room service, full hot buffet breakfast are what sets this Port Douglas Hotel apart from the rest.The small professional team will show you all the features of the hotel, with many inclusions to make your stay as comfortable as possible. 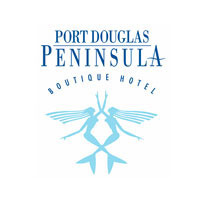 Located directly opposite Four Mile Beach and less than a 2 minute stroll to the heart of PortÂ’s shopping and restaurants, The Peninsula Boutique Hotel is an adult only haven for those wanting to relax and indulge.